The state is investigating a Pacific Gas & Electric Co. safety program -- a probe initiated after a member of Congress flagged a potential “safety threat that could lead to explosions,” KQED has learned. The probe by the California Public Utilities Commission concerns “cross bores,” which occur when an underground natural gas line pierces another utility line -- usually a sewer line -- below the soil surface. Cross bores can result when work crews use an installation technique that doesn’t involve digging a trench, which means they can't see whether pipeline damage has occurred. These unintended pipe intersections might go undetected for years without causing a problem. But some Bay Area cities have recently partnered with utility companies to launch repair efforts out of concern that they are dangerous. “There’s always the risk for gas explosions,” said Tyrone Jue, a spokesman for the San Francisco Public Utilities Commission, when asked about the safety hazard. “The [sewer] laterals would act like a vent, such that if there was a gas leak on that line, the gas could go up that lateral,” potentially traveling into a home or office space. This could happen if a line was damaged, triggering a gas leak. There have been 18 accidents resulting from cross-boring in the United States since 2002, according to the Gas Technology Institute. Mark Bruce, president of the Cross Bore Safety Association, said that's likely "an understated number." But it's impossible to know, because the Department of Transportation’s Pipeline and Hazardous Materials Safety Administration does not specifically track cross-bore accidents. "You should be concerned, but not irrationally concerned because this is a fixable problem," said Bruce. "It's going to take many years to get this done, because we've spent decades putting them in." In July 2014, Rep. Jackie Speier contacted the CPUC, flagging potential "deficiencies" in a PG&E program created to identify and repair cross bores. An email reference to her letter was buried among more than 65,000 emails included in some 123,000 documents PG&E was forced to release due to a lawsuit after the fatal 2010 pipeline explosion in San Bruno. Performed by utility contractors, PG&E’s cross-bore safety program entailed reaching out to individual property owners and running cameras through underground pipes, to be followed by any needed repairs. Speier (D-San Mateo) confirmed to KQED that she had contacted the CPUC Safety and Enforcement Division. Emails in July 2014 between a CPUC Safety and Enforcement Division official and PG&E -- in response to Speier's concerns --indicated that a CPUC investigator would be initiating contact with the utility. But the findings of this probe have yet to be disclosed. Speier's letter to the CPUC contained an excerpt from a June 17, 2013, email between apparent contractors that had been shared with her office. “There are a large number of addresses with potential cross bores [that were] never inspected,” says the excerpted email cited in Speier’s letter. The “large number of addresses” referenced in the June 2013 email provided by the whistleblower were slated for inspection in 2012. 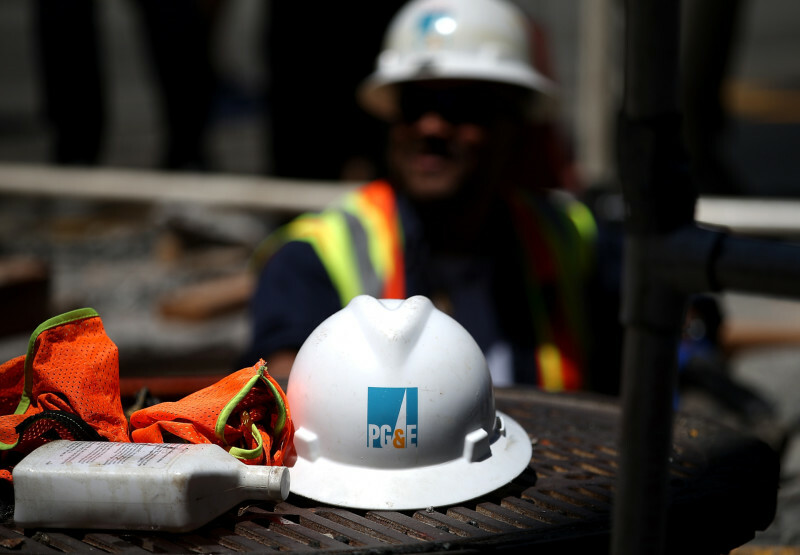 PG&E responded to calls with a written statement saying that: "As part of our commitment to the safety of our customers and the communities we serve, PG&E has deployed a comprehensive program to prevent, identify and repair cross bores throughout our natural gas system. We hold our employees and contractors to high standards and maintain a rigorous quality control process for this work. We are committed to cooperating fully with any reviews by our regulators." PG&E is facing criminal negligence charges for violating pipeline safety laws and obstructing justice in the case of the San Bruno transmission pipeline explosion, which killed eight people and destroyed 38 homes in September 2010. And two related investigations, one federal and state, focus on alleged improper communications with utility executives. On Aug. 29, 1976, an explosion and fire destroyed a house in Kenosha, Wisconsin, killing Cletus Weston, 60, and his son, David, 26. Four other people were injured and two adjacent houses were also damaged. Earlier that morning the Weston family had called a sewer cleaning company to remove a blockage. 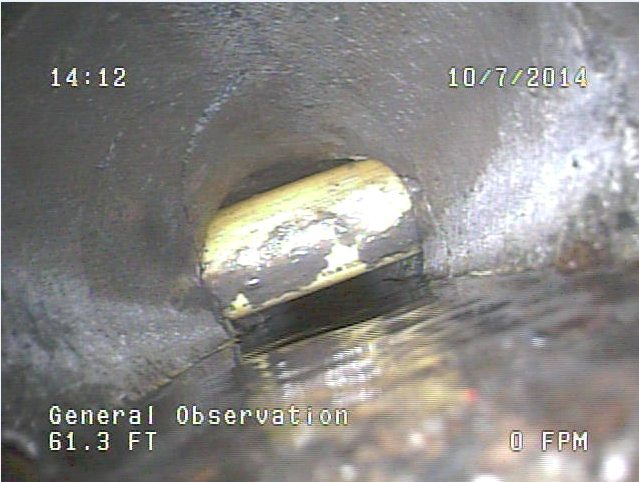 The cleaner inserted an auger into a 6-inch sewer lateral. But the auger struck and ruptured a 2-inch plastic gas main, even though the home was not served by natural gas. Quickly, gas flowed into the house through the sewer system and an explosion occurred. But it took decades, and more explosions, for many municipalities and utilities to begin searching for cross bores. According to documents from PG&E, there have been five "near hits" in San Francisco and the Peninsula since 2012 in which cross bores were damaged and gas was released. But they were fixed before any property damage occurred. Workers found 24 cross bores within four city blocks in Palo Alto, according to a document cited by PG&E and presented at the Northeast Gas Association. The City Council approved $3.8 million in 2011 to inspect sewer laterals and make repairs. In San Francisco, Tyrone Jue noted that the SFPUC, the agency tasked with maintaining city sewer lines, was largely unaware of cross bores until its street crews uncovered them during routine maintenance. “[PG&E] had been doing the trenchless pipeline installation for a while, prior to us finding out about it,” he said. PG&E later provided data suggesting that there were about 1,000 locations in the city where cross bores had occurred. But a complaint filed against PG&E by San Francisco City Attorney Dennis Herrera suggests that there could be even more. “PG&E has identified thousands of additional locations where PG&E’s cross-bores might have caused damage to city sewer laterals,” Herrera’s June 6, 2013, complaint noted. Both Jue and Deputy City Attorney Theresa Mueller assured KQED that the problem was in the process of being addressed, both through a formal agreement between the city and the utility and through repairs, performed either by PG&E or SFPUC. “A vast majority of them have already been fixed,” Jue explained. However, “There are some that are still remaining.” Meanwhile, cost recovery for damage to sewer lines is still the subject of litigation. The city made repairs to nearly 100 locations where sewer pipes were damaged by gas lines, incurring more than $1.2 million in costs. PG&E has issued tens of thousands of brochures to sewer districts, public works agencies, plumbers and equipment rental stores to raise awareness about cross-bore safety concerns. Nationwide, public safety programs stress that property owners should be aware of the potential safety hazard caused by cross bores. “OK, someone’s sewer or toilet is backing up. Normally they just call the plumber. Now they’re saying, call the gas company first to make sure there’s not a cross bore,” said Carl Weimer, executive director of the Pipeline Safety Trust. Before you or your plumber perform a repair to a sewer line outside of your foundation, call 811. Palo Alto's Mayor Youth Video Corp made the video below about cross bores.